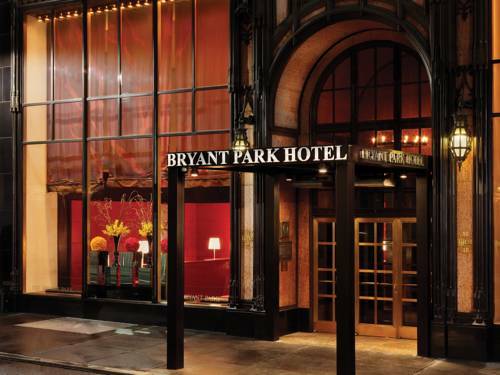 Situated directly across from New York City s storied Bryant Park and steps away from the media fashion retail and transportation centers of Manhattan the hotel s midtown address alone renders it prime accommodations for the business or leisure traveler alike. CREDIT CARD REQUIRED AT TIME OF BOOKING TO GUARANTEE ARRIVAL. Call before 12 noon EST 48 hours prior to arrival to avoid 1 night room and tax charge. One night room and tax charge will be applied to reservations or changes not made before 12 noon 48 hours prior to arrival.